This is the first segment of a series of blog posts about Public Wi-Fi opportunities. Of course, these are just the opinions of this author. But it comes from interviews with hundreds of customers. Many in the WLAN industry who like to sell solutions to their customers might find the attitudes reflected in these posts as counter to them making more money. But the reasons for this series is to make folks think. Think about how you PERSONALLY would like to access Wi-Fi. So please read and think about how you, your friends, your family, and others you know would LIKE to have access to Public Wi-Fi. Customers want a fast Internet connection. Well, at least they want to feel like their Internet access is fast enough. The issue for end users is based around getting their apps to work in a timely fashion. For many this is a simple as providing Facebook, Twitter, and email. For others it is providing enough bandwidth for watching Netflix or HULU in HD quality. The provider of Public Wi-Fi is totally in control of this. If a hotel has 200 rooms, and anticipates an average of 1.5 devices per room. Those 300 devices will use some portion of their aggregate bandwidth. Of course, not all at the same time. In the telephony world, we’ve used an Erlang function to help anticipate and plan for bandwidth requirements. You could also use such a technique to help your customers estimate what their site backhaul capacity needs to be. Find what the expected application with the greatest bandwidth need. Calculate the average number of devices needing that bandwidth at any one time. This simple technique will get you into the ballpark of what the aggregate site bandwidth will need to be. 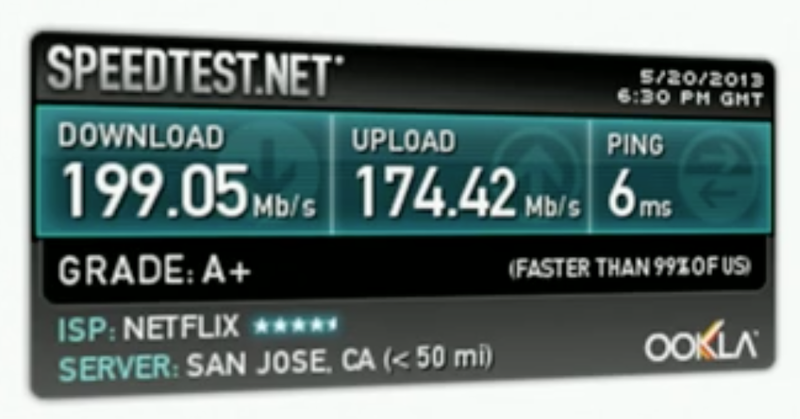 One way to test this is to use the favored Speedtest.net. This method can be easily fooled by the upstream ISP – or by traffic variability. In one client test we were accused of having inconsistent and ‘slow’ Wi-Fi connections. So we faked out the customer and hooked up a laptop directly to their ISP’s Ethernet connection. Taking out all on-site variability, cutting out all Wi-Fi, and testing only their ISP’s connection alone. During the test, we made no changes at all, no movement, no configuration changes, nothing on our side of the connection changed at all. But the results varied from 3Mbps to 30Mbps. The customer then voiced his complaints, “See how terrible the Wi-Fi is! What are you going to do to fix it?” – he was then quite astonished to learn there was no Wi-Fi, but the variability was exclusively within the ISP and the upstream connections to the tested Speedtest.net server. Many have learned, end-users included, to do a Speedtest.net test to gauge Internet connectivity. Thus getting huge variability in results. Many ISP’s have noticed this trend and have placed special configuration settings to give priority – even false priority – to Speedtest.net frames to speed them far beyond what would happen to ‘normal’ packets. Some will complain about the added cost of faster, more capable Internet backhaul needed to provide the ‘Fast’ public expects. We’ll touch more on that in the next post about ‘Free’ part of public Wi-Fi. Some anecdotal evidence stories. The fastest connection I’ve ever received from a Hotel Wi-Fi was the free service provided by a very inexpensive Motel 8 in Warner Robbins Georgia. Easily one of the cheapest hotel’s I’ve ever experienced. But the Wi-Fi connection consistently gave me 100+Mbps across a variety of services I tested. (Even tested back to devices on my office network to take the ‘speedtest.net’ phenomena out of the picture). Some of the slowest hotel connections are those where I’ve had to pay for the privilege of using their Wi-Fi – things as low as results in the Kbps! Speed is a known issue when it comes to Public Wi-Fi – you don’t have to be fantastic, just enough to meet the expectations of the public. I’ve heard from ISP’s the true net throughput from most connections is in the 1.5Mbps to 3Mbps range. That should be a good starting point for your target per device throughput. The next installment will be on the next facet of Public Wi-Fi… Free!